Irving & Bonnar, founded in 1917, was the first law firm to be established in Nigeria. The founding partners had a vision to build a world class law firm based on the tradition and efficiency of an old prestigious English law firm. Both law firms previously operating independently joined forces to create a giant firm known for its competence, diligence, dynamism, efficiency and experience. The firm has since grown into one of the leading giants in the legal sector. Presently, we are a unique law firm with a credible track record of skill and expertise in different areas of practice which primarily consists of Intellectual Property but also includes Real Property, Corporate and Commercial Law, Criminal Law, Constitutional Law, Litigation and Alternative Dispute Resolution. The firm is also registered with the Securities and Exchange Commission as Capital Market Solicitors. This we say without any doubt is a confirmation of our competence to represent your interest in any capital raising projects. The vision and ability to provide a wide and integrated range of specialists who are able to constantly focus, adapt to change and achieve the desired results for both local and international clients has been pivotal to the continued success of the firm. 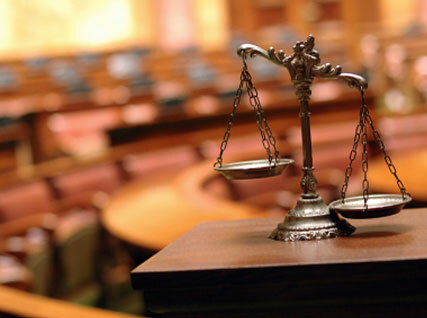 Our lawyers provide advice to clients, both locally but primarily internationally on these various aspects of law. Our target clients include public as well as private companies, foreign law firms, foreign trademark agents, corporate investors and financial institutions. Other critical success factors are: a high standard of excellence in client service, unmatched legal expertise, an innovative and commercial approach to the solution of clients’ problems, the combination of efficiency with cost effectiveness to attain the optimum result and an enviable and expanding international dimension based on a network of overseas correspondents for whom we provide the best combination of local legal and commercial knowledge. With a full complement of up to date Information Technology Systems, the Firm is able to deliver cutting edge and up to the minute legal advice and services.